UK-based Radioplayer is exhibiting at the NAB Show in Las Vegas for the first time and speaking at the event conference. Radioplayer is working closely with the National Association of Broadcasters to grow interest in collaborative innovation, particularly around the in-car radio experience. Members of the Radioplayer team have been invited to speak at the conference, one of the biggest media trade shows in the world, taking place from April 8th – 11th. Radioplayer is seeking opportunities for partnerships with broadcasters and car companies, to ensure that car radio continues to keep pace with the evolution of connected dashboards. A joint team of Radioplayer representatives from London, Radioplayer Norway, and Radioplayer Canada is staffing a booth at the heart of the ‘InVehicle Experience’ zone, showcasing the latest hybrid radio innovations. Hybrid radio is an emerging technology which enables a seamless listener experience across FM, DAB, HD, and streaming, and displays visuals like station logos. 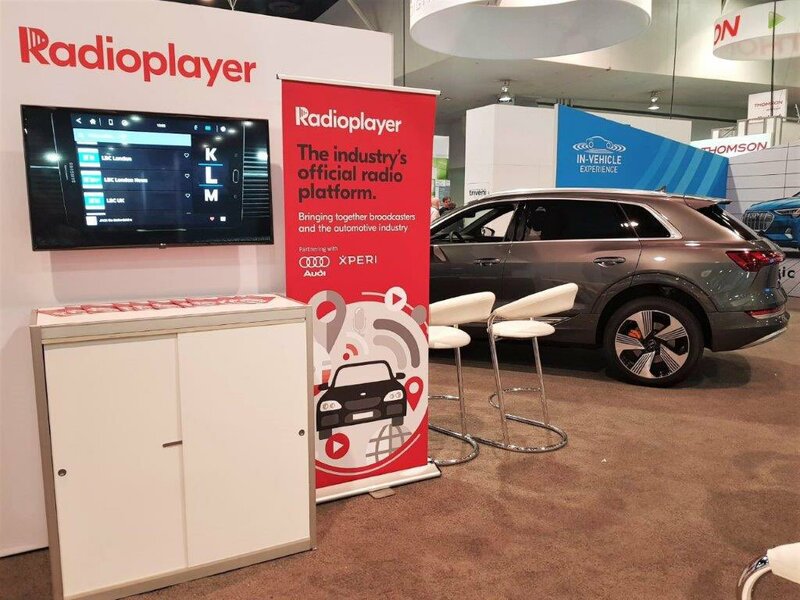 Radioplayer is also partnering with several local radio stations in the Vegas area, to help them publish the metadata they need to enable them to appear on hybrid radio systems, including those developed by Radioplayer partners Audi and Xperi. Audi will be demonstrating their hybrid radio system for cars, powered by official metadata from broadcasters supplied by Radioplayer. It’s able to display station logos, and switch between broadcast radio and online streaming automatically, as shown in the video demo below. Xperi will be demonstrating their ‘Connected Radio’ platform, able to power great hybrid radio interfaces across more than 60 countries. Radioplayer provides Xperi with metadata from thousands of stations, to ensure that vehicles using their technology have access to official broadcaster logos, streams, podcasts, and more. Lawrence Galkoff, General Manager at Radioplayer Worldwide, says: “Radioplayer is a non-profit collaboration. We’re not going to Vegas to sell anything, but to listen. We want to hear from US broadcasters and car companies about how we might be able to help radio stay smart, simple, safe – and central to the dashboard”. The latest RadioToday Programme Podcast is a tech-special live from the event, and you can hear it below.